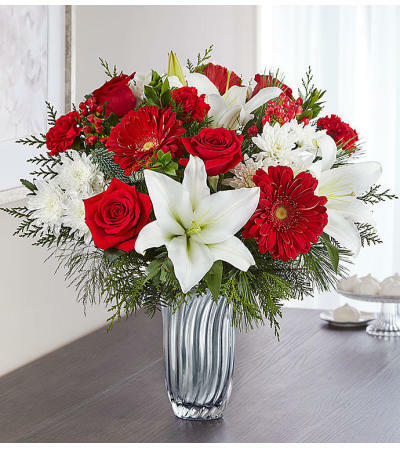 EXCLUSIVE Christmas celebrations call for bright, beautiful bouquets. 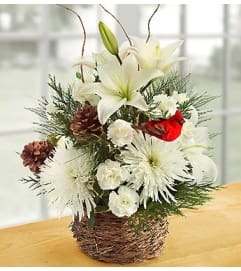 Our sensational new arrangement showcases an abundance of holiday-hued blooms and lush evergreens. 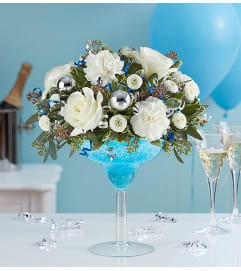 It’s all artistically designed inside our exclusive Silver Radiance Vase with soft, silvery cascades and an elegant fluted shape. 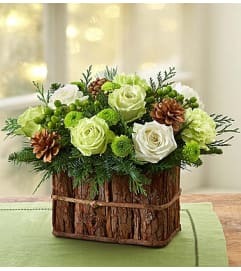 It’s a radiant gift will set the tone for an elegantly festive holiday occasion.